Now is one of the best times to bet on the election regardless of which side you think is going to win. The polling data shows Clinton in the lead but who has really crossed over and decided to vote Clinton instead of Trump? Recently we say the Brexit shock the world and go against nearly all polls and predictions. The sportsbooks also had the odds for a UK Brexit from the EU at around 1.20 to 1.30 near the time of the vote. In comparison Clinton is currently around 1.15 and people are still betting on her. If you think Hillary has it in the bag you are not alone. Paddy Power is reporting massive one way action on Clinton and has started to pay out bets made on Clinton. The public bettors are all over Clinton and this has led to the odds for a Trump win to go up to the highest since the election campaign started. Currently around 5.70. Why should you bet on the election now? If you think Clinton will win then go ahead and bet on her. Other sportsbooks might pull the option to bet on her just like Paddy Power and now might be your last chance. The bet does not pay much but if you are going to bet on Clinton your window of opportunity is closing. If she is going to seal the deal after this last debate tonight then you need to get your bet in before the debate. 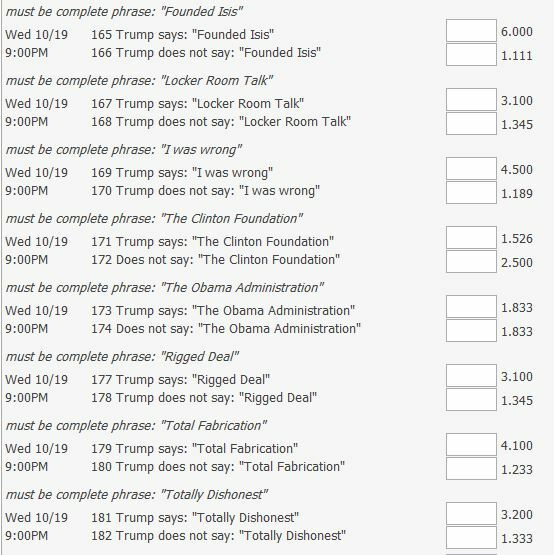 Trump bets are paying 4.50 and if you think the polls are at all accurse you have to decide if the public bettors and the sportsbooks are over reacting to the polls, or not. If you think the race is still neck and neck then go on and put something on Trump. Even if you do not think he will win, if he does well in this debate the odds are going to go down for him to win and up for Hillary. You might get a chance to arbitrage scalp your bet. The lines are sure to move after this debate the only question is what direction. How to bet on the election? 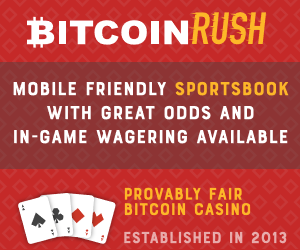 The best way is to make an account at 5dimes and fund it with bitcoin. If you do not have access to bitcoin you can use intertops which accepts credit card, bitcoin and other methods. 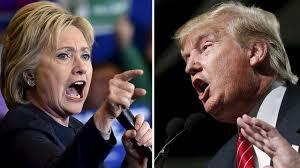 Will this be a heated debate like last time with both Clinton and Trump on the offensive or will this be more of a calm and civil affair? Here are a few prop bets that are available at 5dimes. If you feel very strongly about this election just bet the opposite of what you favor. If you hate Trump, bet on Trump to win. If you hate Clinton bet on Clinton to win. If the person that you do not want to win does, you get paid. You have now hedged your politics.